The BJR National Foundation is inviting entries for the Babu Jagjivan Ram All India Essay Competition 2015 from students in two separate categories of recognized schools, colleges, universities and institutions and the medium is Hindi or English. 1. Category: Recognized Schools i.e., secondary and senior secondary school from class 9th to class 12th. The winners will get cash prizes. 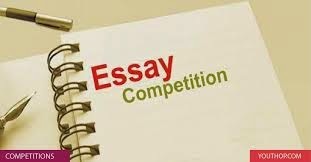 The entries should be sent by last date 14th August 2015 by Speed / Registered Post to the below address and the envelope should be superscribed "Babu Jagjivan Ram All India Essay Competition-2015" along with medium and category and send at the below address. Congratulations on having one of the most sophisticated blogs Ive come across in some time! Its just incredible how much you can take away from something simply because of how visually beautiful it is. You’ve put together a great blog space --layout.